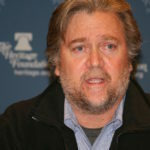 Donald Trump’s White House Chief Strategist and close confidant Steve Bannon was removed from his controversial role on the National Security Council today, a move that came with no warning or context or explanation. Some have theorized that perhaps he couldn’t get the security clearance, but major news outlets are reporting that he already has that clearance, and that he’ll be retaining it even after his NSC exit (source: CNBC). However there is a different storyline here worth considering. Over the past few weeks we’ve all watched Donald Trump’s son-in-law Jared Kushner make one power play after another which has now placed him in charge of large chunks of the Executive Branch. This doesn’t come as a surprise, as there have been several wild swings in power within the White House since Donald Trump moved in. But what does stand out is that Trump’s close friend Roger Stone accused Kushner yesterday of leaking negative information about Steve Bannon to Morning Joe Scarborough (link). Stone is too routinely dishonest to ever be taken at his word. But his outburst begged the question of why he was suddenly taking a public cheap shot at his friend Trump’s own son-in-law, and moreover, why he was making such an oddly specific accusation about Kushner. One of the thoughts that came to mind was that Steve Bannon was growing weary of Kushner’s recent power play, and fed the claim to Stone in an attempt at slowing down Kushner’s progress.